PENOBSCOT NATION / PORTLAND, MAINE– The Maine Green Independent Party supports the Penobscot Nation‘s effort to protect the Penobscot River waterways as their recognized territory, and condemns the ruling handed down by U.S. District Court Judge George Singal on Dec. 17. After hearing arguments in the Penobscot Nation v. (Attorney General) Janet Mills case, Singal ruled that the Penobscot territory included only the islands and not the ancestral waterways of the Penobscot River. 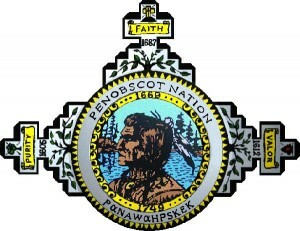 Penobscot Nation – Maine land rights. In past years, complex legal battles have erupted over the Penobscot River waterway. 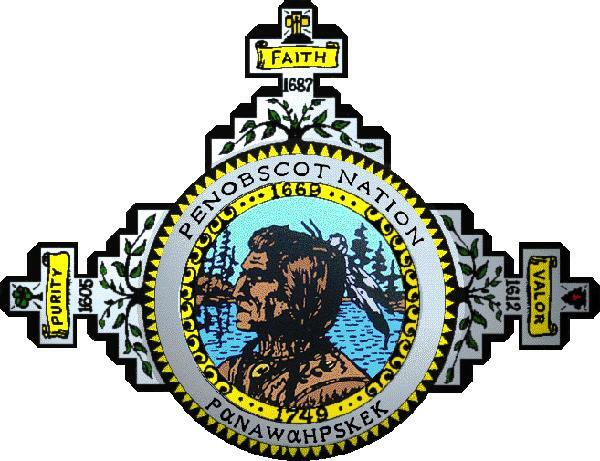 In August 2012, the Penobscot Nation received a letter from the Maine attorney general’s office, asserting a new opinion that the Penobscot Nation territory, which consists of over 200 islands in the Penobscot River, did not include any portion of the river’s water. This new opinion from the attorney general is contrary to a previous opinion made by Attorney General James Tierney in 1988, which recognized that the Penobscot Nation territory included the river. 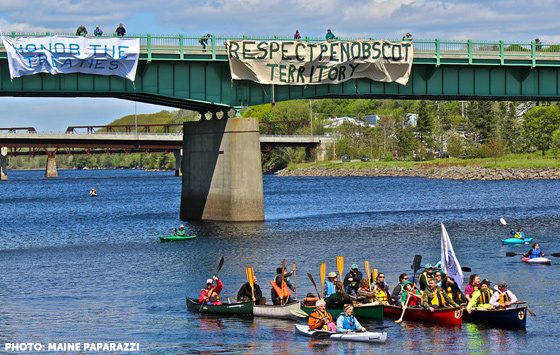 The Maine Green Independent Party bases its support for protecting both the Penobscot River and the sovereign rights of the Penobscot Nation on its ten key values, which include ecological wisdom and social justice. Another factor in the Penobscot Nation v. Janet Mills case is that the Maine Department of Environmental Protection is in conflict with the U.S. Environmental Protection Agency and Clean Water Act protections over the river. In 2014, the Maine Department of Environmental Protection sued the U.S. Environmental Protection Agency, claiming that Maine had jurisdiction to set water quality standards in “Indian territory.” In February 2015, the U.S. Environmental Protection Agency agreed that under the Maine Indian Claims Settlement Act, the state did have the right to set quality standards, but the standards must be sufficient to safely eat fish in accordance with the Penobscots’ sustenance fishing rights. Gov. Paul LePage immediately responded to U.S. Environmental Protection Agency Region 1 Administrator Curt Spalding, saying the state would not reduce pollution in the Penobscot River and threatened again to sue the federal government. The Penobscot River is facing industrial threats such as a proposed 74-acre expansion at Juniper Ridge Landfill, a state-owned solid waste disposal site located in Old Town between Pushaw and Birch streams, two major tributaries to the Penobscot River. The landfill is operated by New England Waste Services of Maine, LLC, a subsidiary of Casella Waste Systems. The company’s expansion plans include using 54 acres for waste disposal and 20 acres for a methane industrial gas facility in a sensitive wetland ecosystem. More than two acres of wetlands would have to be filled in order to accommodate the expansion. 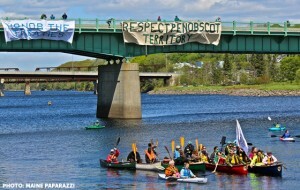 “The Penobscot Nation has always been a strong steward of its ancestral river, as evidenced in historical petitions and pleas, and illustrated most recently in the precedent-setting Penobscot River Restoration Project,” Patricia Jackson, co-chairman of the Maine Green Independent Party. “This project is an extraordinary, collaborative effort that is restoring the ecological integrity of the Penobscot River through dam removal. “The Maine Green Independent Party trusts the people of the Penobscot Nation to be the best guardians of their ancient river ensuring ecological balance and respectful relations for all the life-forms that call the river home,” she added. The party co-chairmen encourage people to write to Attorney General Mills, and their legislators, to oppose the state’s efforts to infringe on the Penobscot Nation’s sustenance fishing rights.